Beauty Benefits of Milk : How You can use Milk for Your Skin and Hair Treatment ! We all know that milk is a super food and full of nutrients. Drinking milk and milk made dairy products are immensely beneficial for our health no doubt, but do you know raw milk can be an extremely useful ingredient for our beauty and skin treatment? Read here some of the simple remedies you can make with raw milk, which are not only skin friendly, none of these remedies are expensive, and extremely handy to use. Raw milk can work as a quality and skin friendly skin cleaner for dry and matured skin. You can make raw milk suitable for oily skin by adding 5-6 drops of lemon juice into it. The method to use raw milk is simple: dip a fresh cotton ball in raw milk and apply the milk on your skin. Let the skin get air dry, and then rinse your skin with cold water. Use the milk remedy daily for enjoying squeaky clean skin and natural skin glow. Milk contains lactic acid and it is gentle bleach for all types of skin. 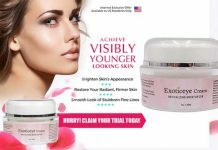 Want to enjoy fairer skin? Use the mix of raw milk, lemon juice, and 1 table spoon of honey on your exposed skin area and wait for 10-14 minutes before you wash the face. You will find soft and fairer skin almost immediately. If you want to use the bleaching property of milk as fairness face pack, you can add fuller’s earth (Multani Mitti) with this mix. Make smooth paste by blending a ripe banana and 3-4 spoon full raw milk. Apply the mix on the skin. This face pack helps in reducing fine lines and crow’s feet at under eye zone. Regular use of this raw milk remedy will help you in enjoying soft and supple age defying skin. The remedy can be used for all skin types. Alternatively, you can use raw milk remedy with papaya extract. In this method you have to mix raw grated papaya, 5-6 drops of honey, and raw milk. Use the mix on your face and retain the pack for 15-20 minutes. Regular use of this milk remedy can wonderfully diminish skin blemish and fine lines due to skin aging, as well as can reduce wrinkles. You can use the musk on neck line also for anti-aging treatment of this sensitive skin zone. Make a mix by adding raw milk, almond oil, and lemon juice together. Apply softly on the skin of your body. Wait for 20 minutes to get the mix dry on skin. Wash it off with cold water. Use the mask at least 3-4 times in a week. You will get the visible improvement of your skin in next 2-3 month time. Use of raw milk not only enhances skin beauty, it can be used for hair care. Let’s take a quick look at hair care by raw milk. Sprinkle/spray milk on hair before shampooing. This simple remedy keeps hair soft and shiny. Raw milk helps as natural conditioner. You can make hair musk with raw milk, 1 tablespoon honey, mashed ½ of a banana, and ½ tablespoon olive oil: apply this musk on hair and wait for next one hour. Once this musk gets dried, you need to wash your hair thoroughly with cold water. Want to get silky hair without expensive salon treatment? Apply raw milk on hair and gently massage the milk in hair scalp. Wait for next 15 minutes. Then wash your hair with mild shampoo. You will get to enjoy beautiful shiny hair in a few minutes. Suffering from hair loss problem? Raw milk can help you. Make a raw milk based treatment musk of coffee, egg, yoghurt, almond oil, olive oil along with 1-2 table spoonful raw milk. Wash your hair after 1 hour. For managing raw egg smell, use hair conditioner, and it will add extra shine on your hair. All these remedies are side effect less and procure excellent result. If you cannot get raw milk you can substitute raw milk with fresh buttermilk. Cow milk is mostly preferred option for use however, you can use buffalo milk as well. Previous articleAloe Vera and Beauty Fixes! Revyve Skin : Is This Anti-aging Cream Natural & Effective? 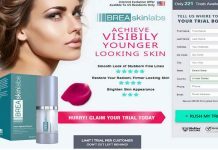 Brea Skin Labs Anti-Aging Serum : Is This Safe & Effective? Brilliant Skin Tones Serum : How Safe and Effective is it? Azur Derma Cream : Is It Safe To Use? How Effective Is It? 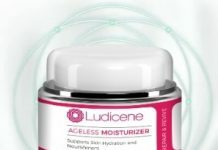 Exotic Eye Cream : How Safe & Effective This Anti-Aging Cream?